The last weeks we made lots of your wishes become reality and made big progresses based on your feedback to make Agantty a better projectmanagement tool and a better fit for your daily needs. 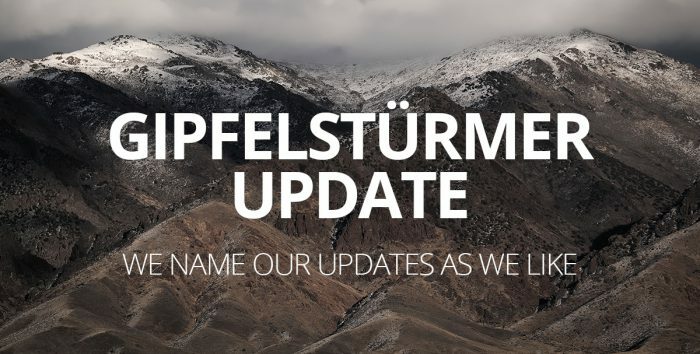 Beginning in march we´ve hired an additional backend developer to speed up the making-everything-better-process. These are the first features that are now available to your all. If you have further ideas and want to check the status of your idea, please keep an eye on userreport. 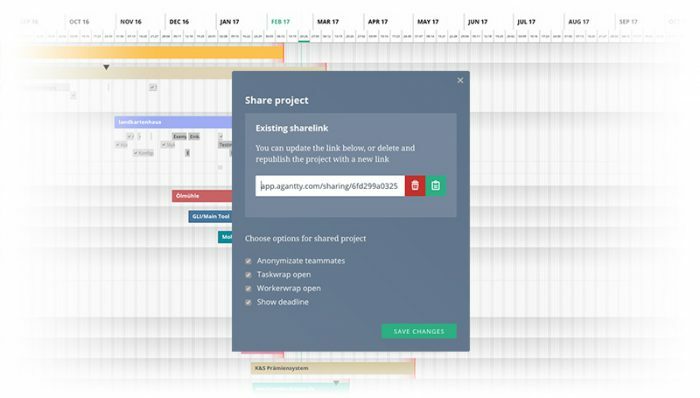 Customize the project you want to share with several options, such as: if teammates should be anonymized, if deadlines should visible etc. publish your project and share it via an unique link with people outside your team. 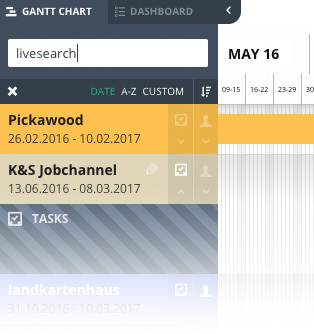 You can even integrate the gantt chart via iFrame in any page you like. See the gantt chart include example at the bottom of this page. View your projects easier with a Month/Day overview and see up to two years at once on your screen.